If you completely forgot Sansa and Tyrion were ever married on Game of Thrones, then don't feel bad, because even the characters seem to have blocked that part of their history out. 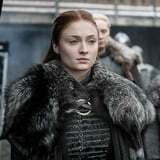 In the season eight premiere, Sansa is reunited with her first husband, and in no time flat she's informing him that he's not as clever as she once thought he was if he really thinks his sister will send her army North. Despite the Lady of Winterfell bringing next level sass to the proceedings, it's an amicable reunion, and not exactly what you might expect from an estranged married couple. So, are they divorced or what? First, a reminder of how those two ended up married in the first place. Originally, Sansa is in King's Landing to marry Joffrey, but their engagement is called off shortly after he beheads her father. Joffrey's second fiancée, Margaery Tyrell, briefly tries to have Sansa marry her brother so that she can be sent to the safe haven of Highgarden. Those plans fall apart once Cersei and the rest of the Lannisters discover the plot, and instead they force her to marry Tyrion. For his part, Tyrion's no happier about the plan than Sansa is, but he goes through with the wedding out of a sense of duty to his family, in particular his father. Sansa and Tyrion last see each other at Joffrey's wedding in season four, an occasion that ends in the young king's death and Sansa fleeing King's Landing. Now that Sansa and Tyrion are both in Winterfell, don't expect her to change her last name to Lannister. Divorce in the traditional sense doesn't appear to be a thing in Westeros - although annulment is, as Rhaegar proves when he sets aside his wife to marry Lyanna Stark. But even if it was, Sansa and Tyrion wouldn't need to hire whatever passes for a divorce lawyer in Westeros, because their marriage was never valid in the first place. As Littlefinger explains to the despicable Ramsay Bolton in season five, the marriage between Sansa and Tyrion was never consummated, which in Westeros means it's null and void. That's how the eldest Stark sister could legally marry Ramsay. Since he's now dead, she's technically a widow, although since she fed her monstrous husband to his dogs, it's safe to say she's happy about her current relationship status. They may not be husband and wife anymore, but Tyrion is impressed by how powerful Sansa's become, and while the two aren't legally married, it's good to see that they're at least on good terms after everything they've been through.